Technology is ramping up like it has never ramped up before. Okay, in real, ty it has been ramping up for decades and will continue to do so. This year has some pretty big new shifts in digital marketing trends though. There are 3 and a half things in particular I think are going to have the biggest effect on marketing this year. They’re not going to be huge because they’re new. At least not all of them are new. In fact, the newest one that is growing rapidly and in importance is the half. I put one that’s a half in here not because it’s not important but because it’s not particularly important on its own, it’s more of the driving force behind two of the three other items on my list. I’m being cryptic about it because I don’t want to give it away. I’d like to pretend you’re reading this rather than skimming to the items below. Even though the half is the driving force behind two of the three I’m going to leave it until last. Now to the 2018 digital marketing trends that will rock the world of marketing and business as we know it. This one has been around for a while and has been growing in popularity. I’m beginning to see it even from smaller companies. Every day I’m seeing more and more live video feed popping up on my Facebook feed. The beauty of it? Everyone who follows you gets an immediate notification when you go live. The problem with that? A huge portion of those people will be busy right when you go live. Not only that but they’ll probably forget that you went live and never watch the video. That doesn’t take away the power of live video though. It simply makes it a little more complex than simply going live and then being done with it. Live video will need to be recorded and then promoted after the live feed. You’ll continue to see live video as a growing digital marketing trend through 2018 and beyond. It has to be done right though with a genuinely useful message. That seems to go for any type of marketing though. The next two both tie into the half which I cover at the end. For companies that deal with the consumer market, voice assistants are the biggest thing since sliced bread. Voice has been around for a while and was made popular with Siri. That didn’t make it take off like it has the past two years though. Last year at the CES conference Amazon Alexa was the big thing. This year it’s all about Google Assistant. These two have taken voice further than Siri ever could dream. For the consumer market, they’re going to make a huge impact. One of the biggest impacts the two voice assistants are going to have on consumers lives is in shopping. Alexa already lets you shop for things on Amazon. It will now go further than simply shopping for basic items though. Google can connect you with a number of local businesses. That means Google Assistant can help consumers find a local service. That’s huge if you’re a local service! Need a plumber? Ask Google Assistant to connect you with a plumber which Google outlined on their blog the introduction to this service. Think about the impact this will have in the digital marketing world. 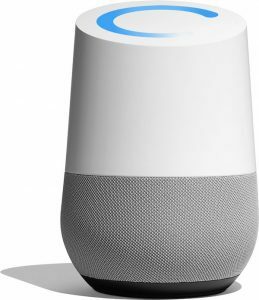 It won’t be long before a huge chunk of local business will come through Google Assistant and Amazon Alexa. Next up is something I’ve written on and has been around for a while. It is now recently being made easier and cheaper than ever for even the smallest of businesses to access. Automation has been around for some time but it’s now more accessible than ever. Just recently I wrote about three different things you can easily automate in your business. If you want to learn more about the details of why automation is awesome and what you can automate, start there. If you write a blog for your business then you’re already halfway to automation. 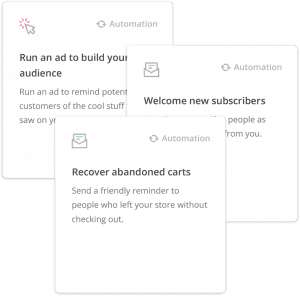 You can simply add an RSS feed automation and send an automated newsletter. If you read anything about your industry to improve your skill, you’re already halfway to automating social media. Same with advertising, if you have visitors to your website then you can easily automate remarketing to those visitors. There are tons of new tools coming out every day to help all sized businesses automate different aspects of their marketing. MailChimp (affiliate link) has offered email marketing for quite a while for a fee. Automation has become so popular that they released it to free accounts even. So, automation has been huge for a few years but it’s also something to keep an eye on still. Every day new aspects of marketing are being automated to help small businesses do more with less. That’s why it’s something everyone should be watching. There are new tools coming out every day that will help a business grow with automation. Not just everything is getting automated and becoming less personal though. New tools and new technology is making automation come closer into alignment with real people. That brings us to the half which helps automation in its goal of becoming more human. And now it’s the big half. Artificial Intelligence. I know this is such a huge thing it should probably be a whole one but I can’t bring myself to making it one. Why? Because what is AI on its own? Then again, neither voice nor automation is much without AI. The thing is, voice and automation are the faces of the technology and AI is simply the stuff behind it all. It’s the brain behind it all so it’s the unseen hero of a lot of the technology we’re now seeing. Because AI has such a big impact on digital marketing trends it’s important to keep an eye on and understand its importance. Almost all the 2018 digital marketing trends are powered by AI. Yes, two of the three I mentioned in this post but it goes beyond that. AI powers a ton of different things in marketing. 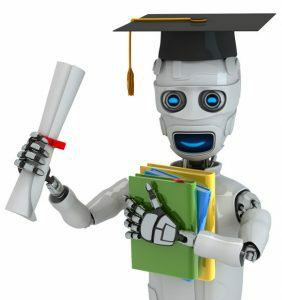 There are some amazing tools with AI being the driving force behind them. Have you seen Lumen5? It’s a really cool AI driven video creating tool. You’ll see a lot of these trends being explored further in 2018. That might be a good thing but it could also be a bad thing. Live video, voice, automation, and AI will improve and more people will use them. Also, more people will mess them up and then blame the tool. It’s not usually the tool that’s the problem but rather the user. That’s OK though. Things have to get messed up and they have to be tested in order to get things right. That’s how we learn the best way of doing things. It’s also the way we figure out what trends are going to move beyond the trend phase. Digital marketing trends are no different. They start out as trends working for some and not for others. That is until they get perfected and become the norm. It’s all about testing. Keep testing and figuring out what works best for you.